إن فندق Nomads St Kilda Beach بموقعه الممتاز في سانت كيلدا هو نقطة انطلاق جيدة لنزهاتك في ملبورن. يسهل الوصول إلى هذا الفندق ذو 2.5 نجوم من المطار، فهو يبعد عنه مسافة 20km فقط. سوف يعشق النزلاء موقع هذا الفندق، فهو قريب من أهم المعالم السياحية في المدينة كمثل اورورا سبا, مسرح ووركس, Jewish Museum Australia . 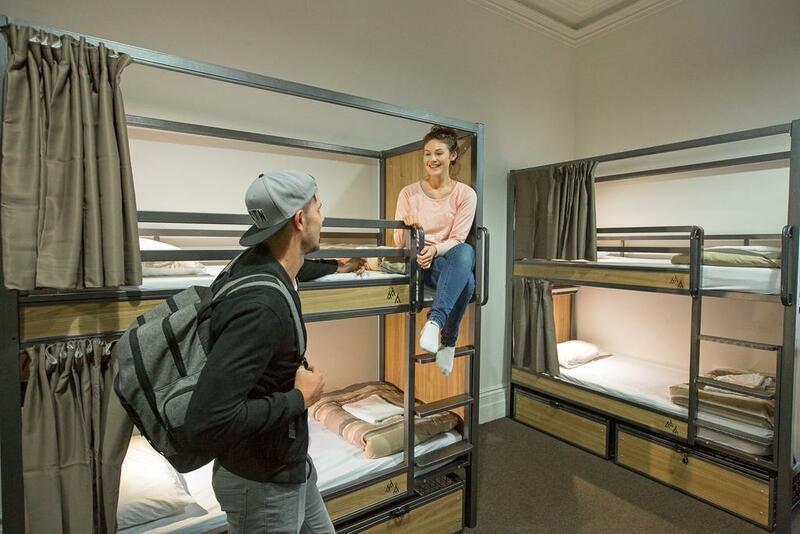 يعرف Base Backpackers بالمستوى الراقي لخدماته ولباقة موظفيه، وهذا ما ستجده في Nomads St Kilda Beach. إن خدمة التنظيف يوميًا, مكتب الاستقبال على مدار الساعة, تخزين الأمتعة, واي فاي في المناطق العامة, التوصيل من وإلى المطار هي جزء فقط من الخدمات التي تميز Nomads St Kilda Beach عن باقي الفنادق في المدينة. تنعكس أجواء Nomads St Kilda Beach في غرف الضيوف.اتصال لاسلكي بالإنترنت, غرف لغير المدخنين, مكيف هواء, تدفئة, ستائر التعتيم هي بعض الميزات الموجود في العديد من الغرف. كما أن مجموعة الخدمات الواسعة الموجودة في الفندق لضمان راحتك تترك لك الكثير من الخيارات لقضاء وقتك أثناء فترة إقامتك. 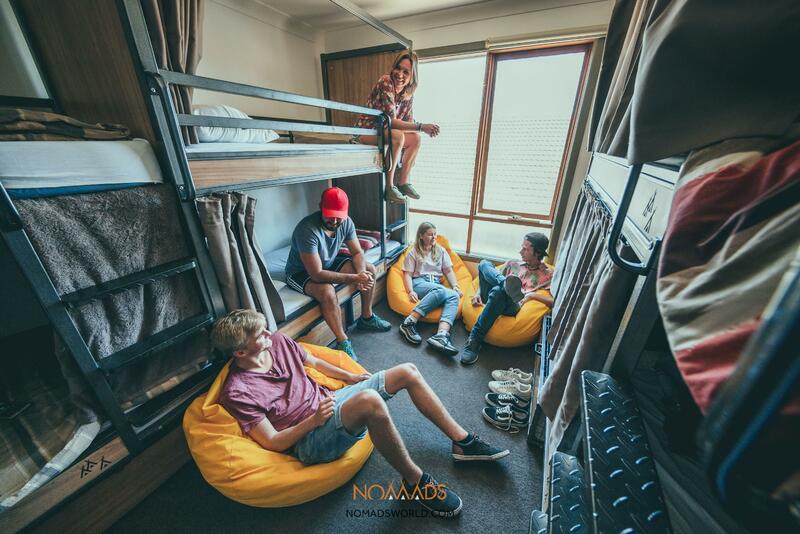 إن Nomads St Kilda Beach هو خيارك لخدمة الفنادق الراقية في ملبورن. I love its location and its simple breakfast spread. Needs ventilation on the rooms though, specially during the summer. The rooms get stuffy. Staying at Nomad was a good experience! Good location, near to the beach, Luna Park, supermarket, and the CBD. Not expensive, and clean... I really like the curtains on the beds! I really recommended this hostel! Al. It is pretty damn good here, glad you enjoyed. come back next time! cheers. Such a great guy, and an asset to our team. Thanks for the Big up! cheers. Great hostel to stay at, despite the very early curfew times whilst everybody is still up and end up drinking outside. Floors were dirty and never cleaned even I when I asked for that. Staff were one of the loveliest, except for one bad fruit bartender "Belgian" guy who stole one unopened beer I left at the table, and when I asked my mate who took it he pointed him out, and when I confronted him he denied it and blamed it on someone else, then sleazily faked being friendly to me throughout my stay. Dishonesty in staff makes me very uncomfortable in terms of safety. hey there, thanks for your review. It sounds like you had a real mix bag of experiences. We are sorry for the ones you didn't expect or deserve. We are unsure what happened with the above situation, but we assure you, dishonesty is something we always try to stamp out in staff. In particular regards to the one mentioned above, they are no longer with us for those reasons you mentioned. So we appreciate your honesty and light on the situation! continue to have a great time abroad. cheers. I got the 6-bed female dorm so we had our own toilet and shower. That was convenient for me since I only had 5 other girls to share it with. The room had storage under the beds, which fit my medium-sized suitcase and still had enough space to fit a small duffel bag and an extra pair of shoes. Bed seemed fairly clean. Wifi's free at the common room, and it's pretty fast. Staff is accommodating and helpful. I also like the "no food in the dorms" rule since I read in previous reviews that there were rats/mice running around but thankfully I didn't see any and I totally credit not seeing rats/mice to the "no food in the dorms" rule. It was also quiet enough at night (not like the reviews I read that claimed it was rowdy at night). I'd stay here again if I'm traveling alone. Hey there, thanks for leaving us with your feedback. Continue to have a great time abroad! Good location close to st Kilda main area. Nice breakfast, just simple cereal, toast tea and coffee. Rooms weren’t very clean and bathrooms were dirty. Had an issue with plumbing when I was there however still needed seeing too. I wouldn’t stay again. Hi Lisa, we are really sorry that you didn't have the experience you probably wanted too. 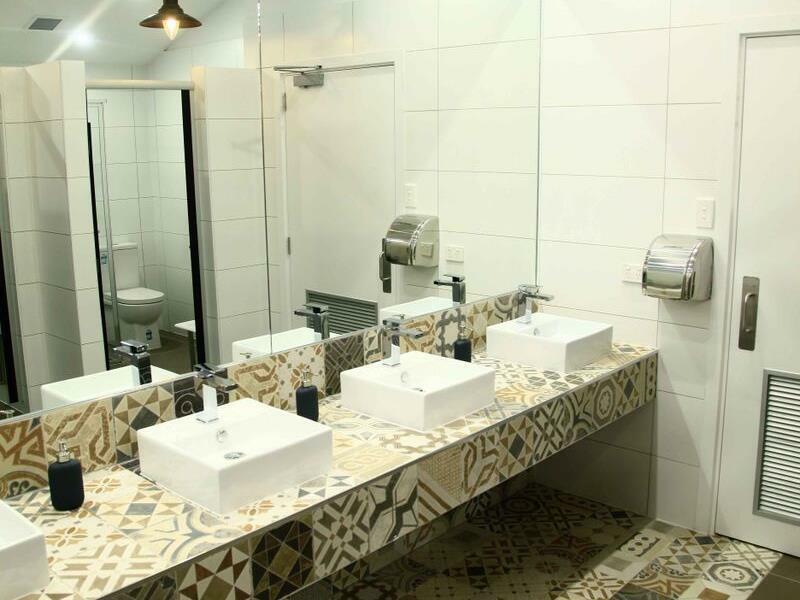 Our premise is very old and we do what we can to make sure the plumbing is okay. Sometimes, especially during peak season when it is extremely busy, it gets the better of us. We apologize that this affected your time with us. 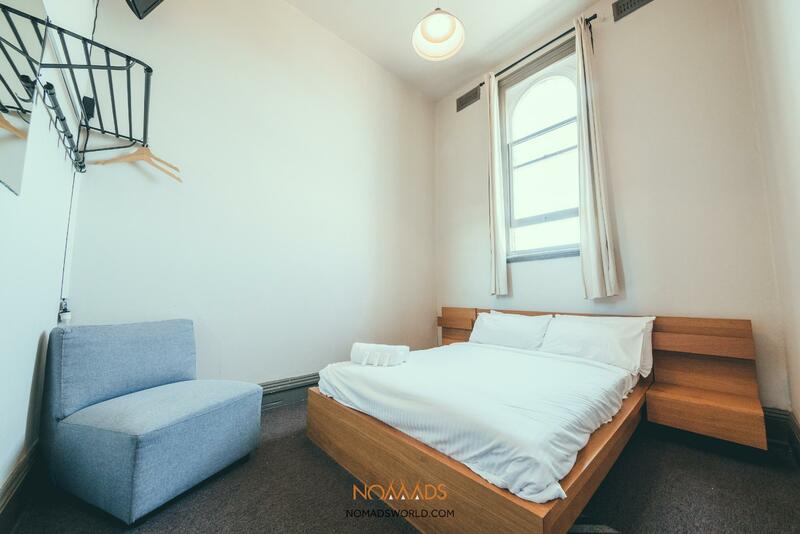 we are however very happy you were able to enjoy our prime location in St. Kilda, and that our proximity to the beach made up for your stay! We hope you continue to enjoy the rest of your adventure. Safe travels. Really good beds! Warm showers. Nice friendly staff. Close to the things you want. Stores, food, drinks, beach, trams. Not a crazy party hostel but there is always a good group that will be up for some fun. Location and price are good, but most people staying here tend to party at night and are not quiet about it. If you're the party type then this place may suit, but if you need quiet then probably best looking elsewhere. Also uses the tipi app for checking in and arrival, which I am not a fan of...it seems pointless and way too tedious. Nice young vibe in the hostel. Kitchen is super crowded most of the time but with patient you can still cook. Lots of activities from the hostel, it can get quite noisy on the weekends. 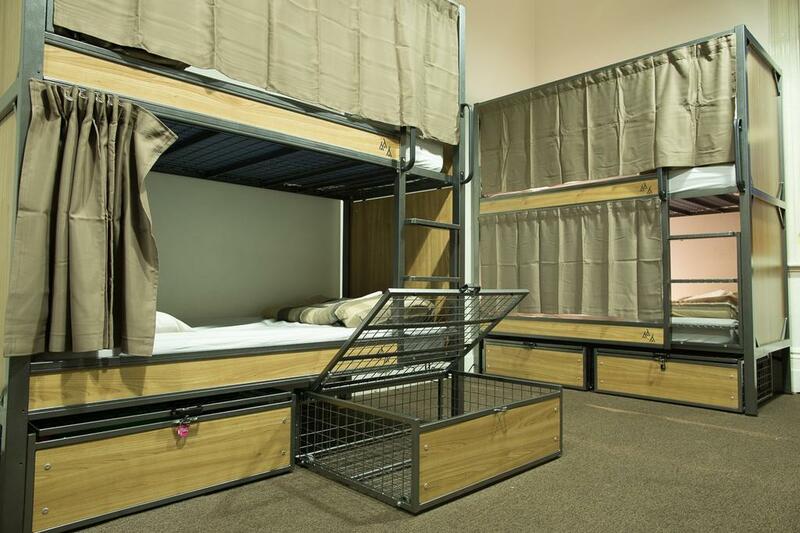 Overall was ok for a city hostel. One staff in particular was very rude and wouldn’t let my friend visit for 5 minutes. They were told to wait outside and wait because of security purposes. She told me that you wouldn’t visit a friend in a hotel room because they aren’t a paying customer! Which I thought was ridiculous. They are not so strict with the use of the room. My luggage area/rack was already occupied. As i dont want any hassle dealing with it, i didnt bother to use it anymore. Hey there, that is a but annoying, and something we can control if guests keep us posted. For next time, just say something and we can sort it out! continue to have a great time abroad. thank you for never quitting Conn!!! Hotel service is no problem. But they made a double claim to me. I made an inquiry, but I have no reply. Please be careful when you all register on their site. I love to travel and compete and this place so good and the staff were friendly and helpful. Thanks for your awesome feedback!!! We hope you won the compitition!! !